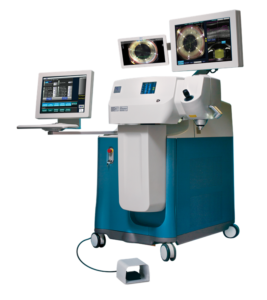 LaserVision Victoria, located in the Manningham Medical Centre, offers one of the most advanced laser technology platforms available for laser vision correction procedures (the Schwind AMARIS 1050RS Excimer Laser and the ALCON LenSx Femtosecond Laser.) It is no longer necessary to commute to the city for assessment or treatment. Treatments are available for all forms of refractive error: myopia (short-sightedness), hyperopia (long-sightedness), astigmatism and presbyopia. Our procedures are performed within a fully licensed and accredited day hospital which specialises in eye surgery. We aim to provide the safest environment for your vision correction procedure in addition to state-of-the-art equipment. 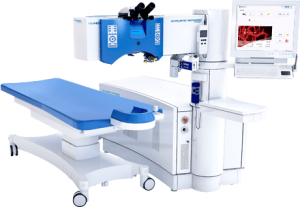 Although our laser and diagnostic equipment is new, our surgeons collectively have decades of experience with many thousands of procedures performed. In addition to the common laser vision correction procedures (LASIK and PRK), we offer phakic intraocular lens implantation (ICL) and laser-assisted Refractive Lens Exchange (RLE) for larger corrections. We offer free, no obligation assessments to determine your suitability for laser vision correction and answer any questions you may have about these procedures. Book your free consultation online now. Simply click the button below and follow the prompts. LaserVision Victora offers a range of surgical procedures to correct your refractive errors. Learn more about these procedures below.